East Midlands Ambulance Service reports year-end finances 12 million in the red. East Midlands Ambulance Service announced this week that it’s end of year finances place it £12 million in debt. The NHS service operating throughout Nottinghamshire and surrounding counties said they had to take out debt even though they achieved £6.4 million of planned efficiency savings. Performance figures have progressively dropped over the past five years, with the number of Red 2 calls reached within eight minutes falling from 97 per cent in 2008-09 to 70 per cent in 2014-15. There may still be much more room for savings, however, as an FOI request revealed staff were overpaid £176,290 in 2014/15 - £149,000 of which was not recovered. And as the services experiences a sharp rise in the number of alcohol-related injuries and illness, there is also a continuing pattern of hoax 999 calls wasting paramedics' time. The service received thousands of hoax calls each year - totaling 29,874 from 2011-2015. But the serious preventable burden on the service is those calls that occur when people are under the influence. This week, we report on a case where a politician in Ashfield was called out of her house to look after three men out on a binge of drugs and drink - one stumbling around like a zombie while his friend had stopped breathing and was luckily resuscitated. Glenys Maxwell, of Huthwaite in Ashfield, Nottinghamshire said: “People have got to be less reckless. It was idiocy what they were doing, bingeing on drink and drugs. Just think if there had been another emergency. I hope nobody was waiting for an ambulance on Tuesday night." Richard Wheeler, Director of Finance at East Midlands Ambulance Service, said: “Nationally the NHS has to save £22 billion by 2020/21. “We have achieved our Cost Improvement Programme savings target in 2015/16 achieving efficiencies of £6.4 million. However, we have experienced unavoidable extra costs due to responding to a significant increase in life-threatening emergencies and we have also been required to provide extra crews in certain areas to compensate for delays in handing over patients from our ambulances at busy hospitals. “This means an increase in costs through having more of our highly skilled staff responding to a 999 call every 35 seconds. “We are not unique in seeing demand increase and many other organisations within the wider health system are in a similar financial position. “In addition to our work to create greater efficiencies at EMAS, we will continue to work with commissioners and NHS Improvement to tackle the challenges that impact on our finances. It also attended 686 reports of people being attacked by dogs. The service's record for longest emergency call for the end of last year was 6 hours, 14 minutes. 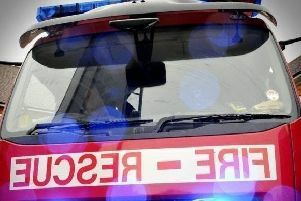 "This related to a Green 2 categorised call involving a patient in the Nottingham area, and the delay was due to there being no available resources and extremely high demand on the service at the time," EMAS said in their response to a Freedom of Information request. Their longest non-emergency call for the period was 15 hours and 50 minutes. Last year there were seven break-ins into ambulances, including instances of drugs stolen, and even a litre of heating oil.